Just like in the previous “cold water jump” type introduction Article on Black Magic, now we bring you the in depth information on the opposite side of Magic, as “Magic itself is neutral” and it depends who, what for and how anyone uses it/applies it. 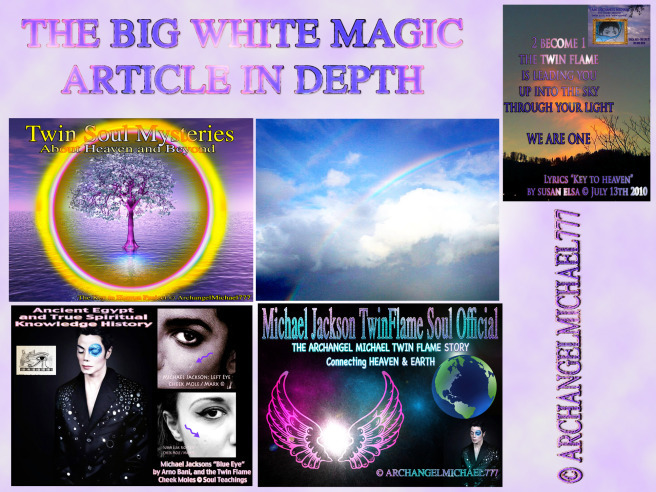 Please read the Black Magic Article, especially the Introduction, to have a better understanding of the matters as we get into this on many levels more complex one on White Magic. “This is an exceptional Article, as we do rarely publish outside of our Digital Member Areas and the TWIN EYE Mystery Schools in Progress. This is all about preparing for in depth, real, authentic highest knowledge spiritual teachings, ancient Egyptian style. I have been very busy and also doing lots of Sports, resting, enjoying the Spring Rebirth. And as Mother Nature rises in its full Light and Strength again, so do we give you more of the secret knowledge now, bringing all things to light now. This is an exceptional Article, as we do rarely publish outside of our Digital Member Areas and the TWIN EYE Mystery Schools in Progress. This is all about preparing for in depth, real, authentic highest knowledge spiritual teachings, ancient Egyptian style. As you see in the Title, the way too simple and “colored” term “Black Magic”- is not really the best, most perfect descriptive term to give to such meant “evil magic”. 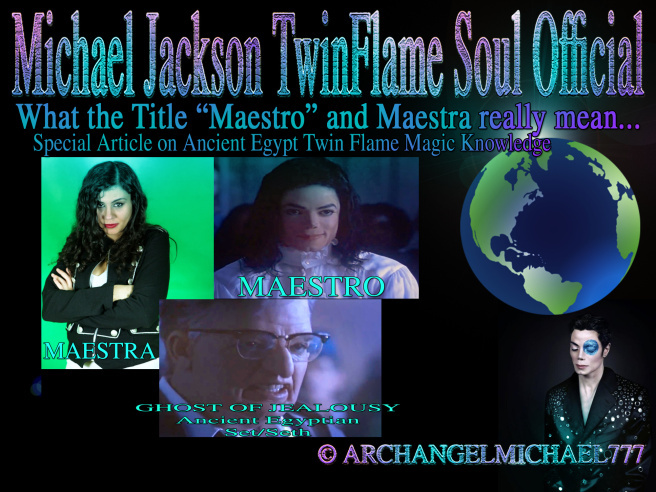 As promised in the previous Article, here comes the second Article for this Weekend regarding the Title “Maestro” from Michael Jackson´s Movie “GHOSTS”- and what it really means to express here. Before we move into this Article, please take a look at the previous three posted Articles, about “Blood on the Dancefloor” and the French Chateau, and the Astral Travel Note from Yesterday. 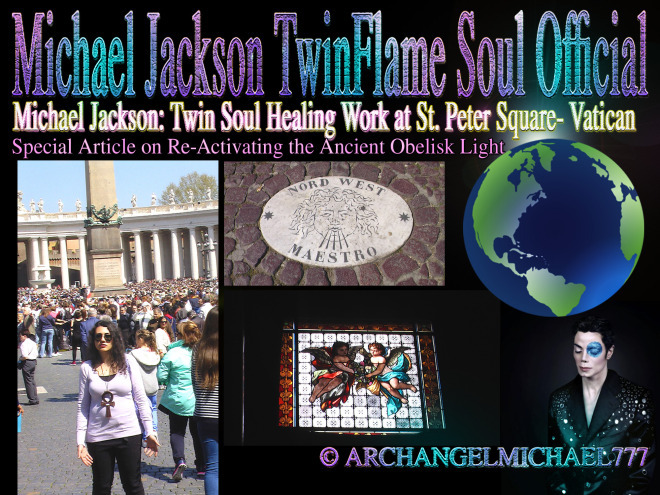 AND, very important last but not least- the Vatican Obelisk Activation Article with the Photos from Traveling there. Today we will explain in this Special Article a bit in depth, what we did for energy work last Sunday on the St Peter Square. The idea, before traveling, was to re-activate the Ancient Egyptian Obelisk Energies- and bring things back to original Order as they were in that ancient Time on the Planet. Everything in ancient Egypt has been built with the Principle:“On Earth as it is mirrored in the Celestial”. 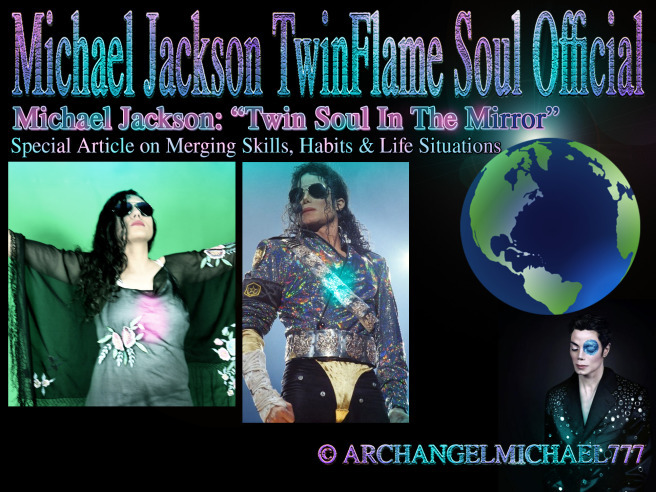 This is PART 2 of this “Twin Soul In The Mirror” Project as the Title for our Science Documentations since 2004, plus the planned Documentary Films and More. All that, is always Part of the “Living Project”, just like our Music Publications, the Past Life Twin Flame Memory Cartoon and the Books. We will keep you regularly updated on this Special Documentary Project. We haven’t yet started the Pre-Production process, but People from the Jackson Family Management already had said once to me recently that “we must document and film this!”- I will keep you updated then about these interesting things going on. This Easter Weekend, I will be offline often and cannot write Articles probably, or maybe just one sometime, depending on what Mike says. This is a very special few Days for me and Michael. 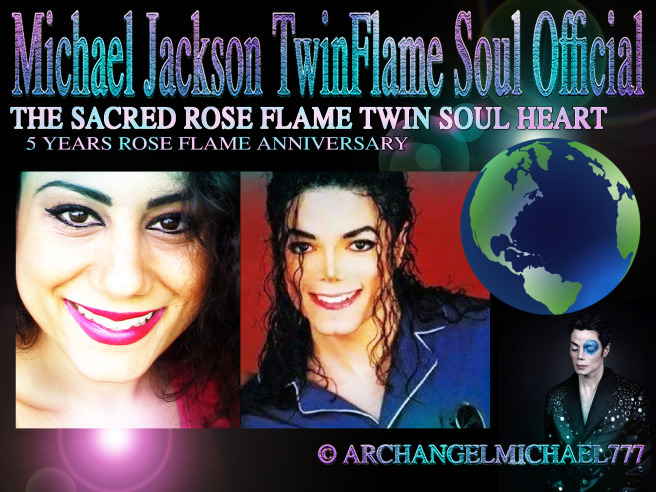 It was precisely the 4th of April 2010, when Michael flew really fast above my white Couch and literally threw A ROSE FLAME into my Heart Chakra, and that lit my Heart Chakra with this Rose Fire and it stayed in there. I could see it! I remember looking down my Breasts and seeing it, inside my energetic Soul Body layers, not physical of course. But I felt and saw it, I didn’t only feel it. This is the “Sacred Twin Flame Heart”, when it activates.